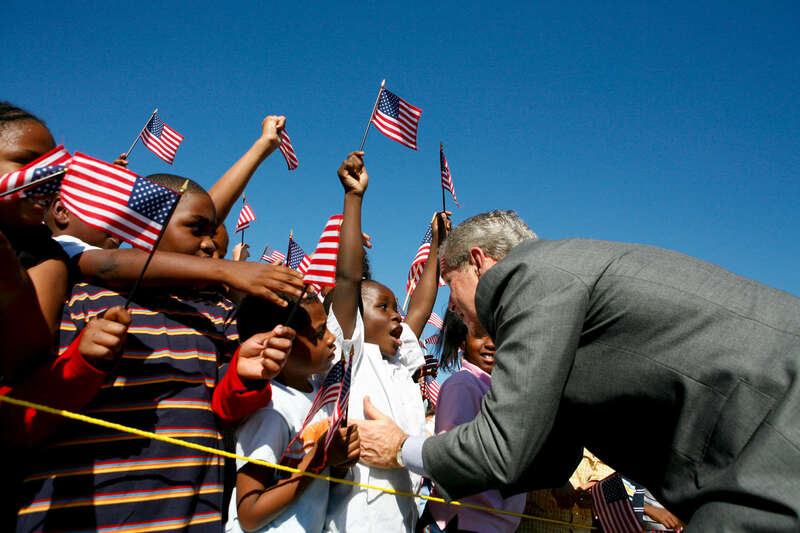 President Bush: Visit to Waldo C. Falkener Elelmentary School. Greensboro, North Carolina. Students wave American flags.